When you buy online from us, we do our best to ensure your plants arrive in the same great condition they left our nursery in, and as such, they are posted to you in plastic blister packs with a cardboard box surround to ensure good protection. Please be aware that we sometimes need to prune large herbs to suit the packaging. Please note that as we are often exhibiting at Horticultural and Flower Shows, we may not get your order sent out immediately - we will do our best to get them out within 10 days of purchase. 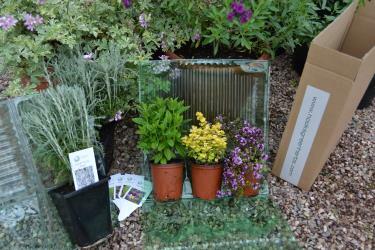 We do not post any orders on a Friday as we do not wish the plants to be in transit over the weekend. 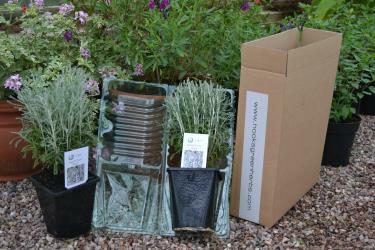 When your order arrives, remove all the packaging and water the pots immediately as they may be thirsty after their journey. Should there be a problem, please contact us immediately (within 24 hours) by telephone, email or text.